The gallery has two new exhibitions coming up, and opening on Saturday 17th October, and to which you are invited. 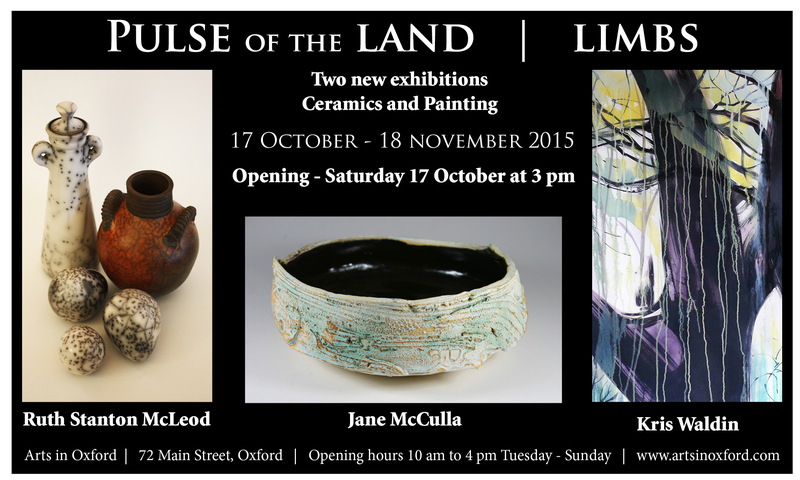 “Pulse of the Land” shows a collection of ceramic pots and vessels by Jane McCulla and Ruth Stanton McLeod. Kris Waldin’s show is entitled “Limbs”. Her paintings in acrylic on canvas focus on trees.